Customizable high visibility retail & office suites from 1250-7500 SF and priced at $12 per SF. One 2500 SF unit is built-out for a restaurant and remaining 5,000 SF will be delivered as a "vanilla box" with all flooring, electrical, HVAC, lighting and sheetrock installed. Units are customizable in 1250 SF increments up to 5,000 SF. Newly completed landscaping and parking lots for 30+ vehicles. 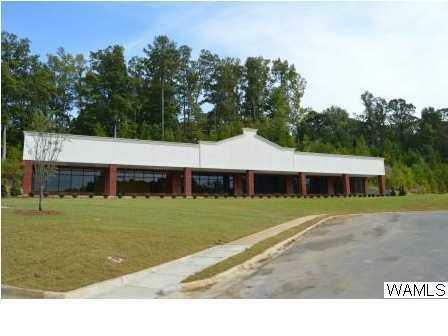 Located on Four-Lane Highway 43 in Northport less than one mile from US-82/McFarland Blvd. - 20,000 VPD.